These gentle people from another world possess the gift of peace and love. On earth, they can share it only with their natural enemy...mankind. I saw this when it first came out (I was at an SF Con at the time) and then later in a re-run. Considering the budget constraints of 1970s TV Sci-Fi movies, they did an impressive amount of story telling, mixing two of the first 'People' stories to re-cast the tale for non-fans. 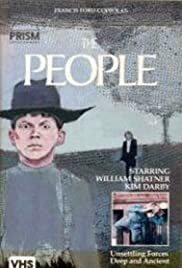 The cast gives good performances (Shatner is not the ham he usually is), the 'special effects' are limited to wires and a series of crayon drawn pictures which tell the background very effectively. This is actually the second 'People' filming -- Science Fiction Theater ripped off the same story for one of its episodes. Zenna Henderson's People stories were collected by NESFA Press and can be found at Amazon.com and elsewhere.